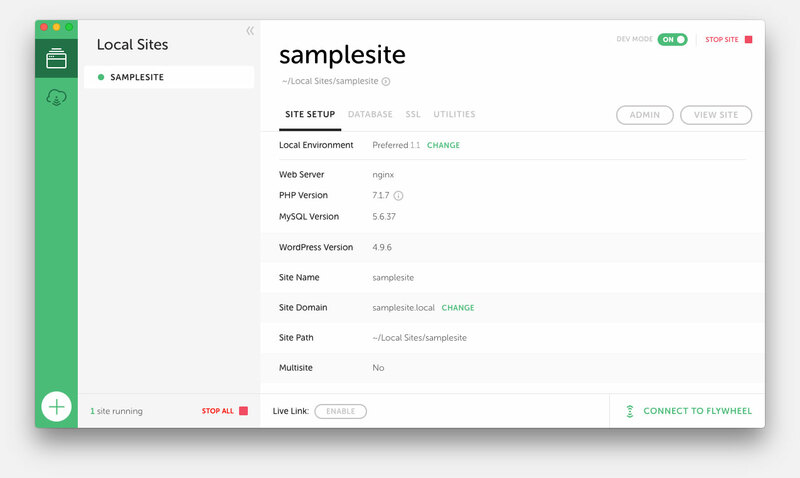 Local sites let you test themes and plugins without risking your live site. If you have a WordPress site or you’re getting ready to start a WordPress site you should set up a local testing environment. With the great tools available it’s now easier (and free-er) than ever. If you already have a WordPress site a test environment can be setup to mirror your current live. This allows you to test new themes and plugins without risking errors for your users. This can help you catch any bugs ahead of time that could cause downtime or funky displays. No one wants to hit the old white screen of death. If you’re just getting started with a site a testing environment can give you the ability to create your site and put together your initial content without paying for hosting. Of course once you’re ready to put your site live at yourdomain.com you’ll need to get hosting. Configuring a testing environment for your site can range from super easy to pretty complex depending on the feature set you need. If you’re just looking for a quick way to setup a WordPress install with no-fuss give Local by Flywheel a look. Plus it gives you some added benefits like managing local SSL certificates (useful for ecommerce testing), multiple sites, one-click WordPress installs, a shareable demo URL, and, once you’re ready, you can deploy straight to Flywheel’s hosting. Plus it’s free. Always a nice bonus. If you’re looking for something with a bit more control that isn’t specific to WordPress you can look at Vagrant, Docker, and MAMP Pro. 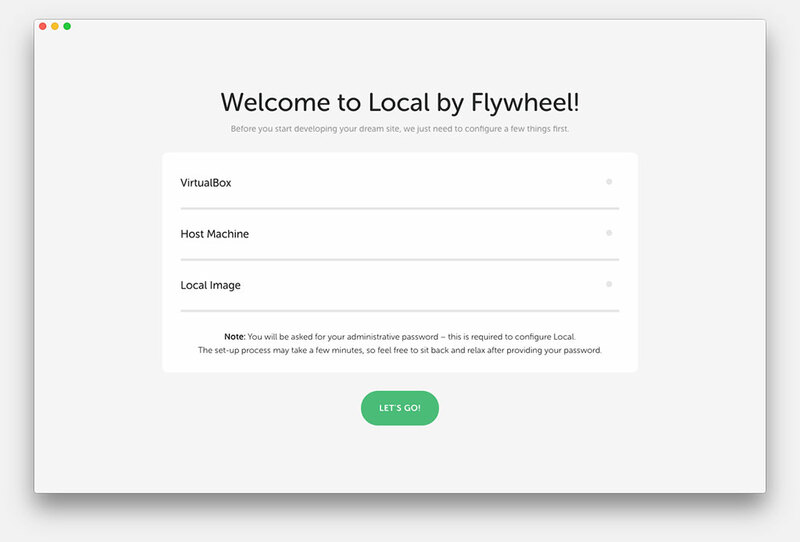 These options are a bit more complex to setup than what we’re looking for so we’ll take a look at getting started with Local by Flywheel. To download Local you’ll need to hop on over to Flywheel’s site and download a copy. After you install the application the first screen you see will let you know what Local needs to configure. It also alerts you that it will ask you for a system password. Hit Let’s Go enter your password and Local will take care of the setup. Once the setup completes in a few minutes. You’ll be prompted with a screen to create your first site. Go ahead an click the big green Create a New Site button and follow the prompts on the screen. Once the installation process completes you’ll get a screen showing you the specifications of your new WordPress local site. As well as buttons to open the site in your browser at the Site Domain. Now you have a nice WordPress test site where you can play around without fear of taking your live site down. All for free.